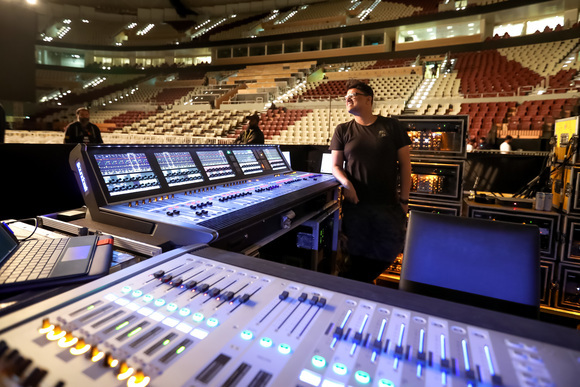 WATFORD, United KingdomThe Staves, a British folk rock trio of sisters, recently toured Europe with a world-class audio system featuring HARMAN's Soundcraft Si Performer 2 digital mixing console and AKG C5 microphones. Born and raised in Watford, England, The Staves are known for their harmonies, as all three sisters serve as vocalists in the group. The Staves released their debut album, Dead & Born & Grown, in November 2012 and have grown in popularity throughout the world since that time. Given the delicate balance of harmonies for which The Staves' performances are known, quality cannot be spared when it comes to microphones. This led to the group's current use of AKG C5 microphones. "We've got quite different-sounding voices and the AKG microphones easily handle our variety of tones and singing styles," said guitarist/vocalist Jessica Staveley-Taylor. "We don't have to think about the microphones at all, we can just think about singing." The AKG microphones are not only beneficial to the band, but to the audiences as well. "After using the AKG C5 vocal microphones, I would recommend them for people with softer voices, as they really pull out the definition in the voice, giving live shows a recording studio vocal clarity," said Simon Alpin, who handled FOH mixing duties for The Staves during a run of shows in the fall of 2014. "They really cover all aspects of The Staves' vocal range tonally." "I also found the definition in the high end less sibilant than most other condenser microphones, without having to EQ much at all," Alpin added. "In a live situation this is imperative, with time restraints for sound check." 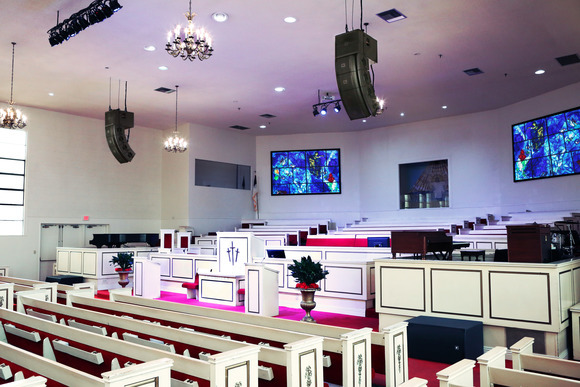 In addition, The Staves have a Soundcraft Si Performer 2 digital console at front of house. 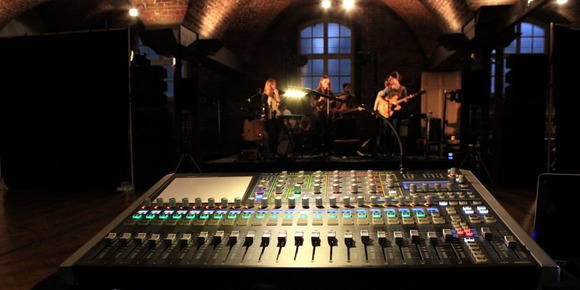 "The Si Performer 2 I am using on The Staves' European tour is very user-friendly," Alpin noted. 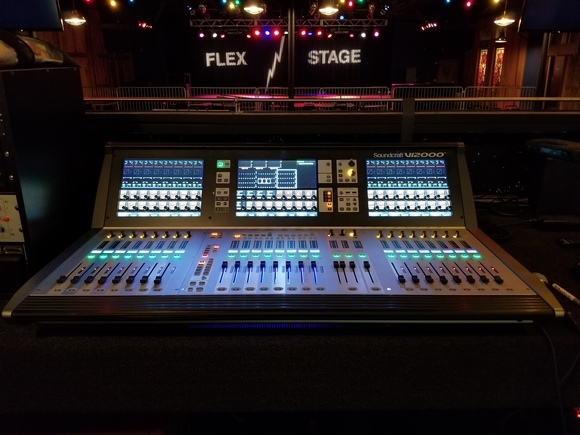 "After only having spent an hour running through the essential setup configuration with Ed Jackson of HARMAN, I found the desk to be very reliable. Even when the Cat5 cable came out of the back of the desk while someone was moving something during sound check, I reconnected it immediately without having to restart the desk." The Si Performer 2 delivers the equivalent of 448 rack units of DSP including sophisticated 4-band fully parametric EQ, full dynamics processing, a comprehensive range of output options, and totally flexible routing. "I would recommend the Si Performer to anyone who is thinking of moving from analog to digital," Alpin noted. "The patching is very straightforward, the reverbs sound great and it's very easy to load and change parameters."